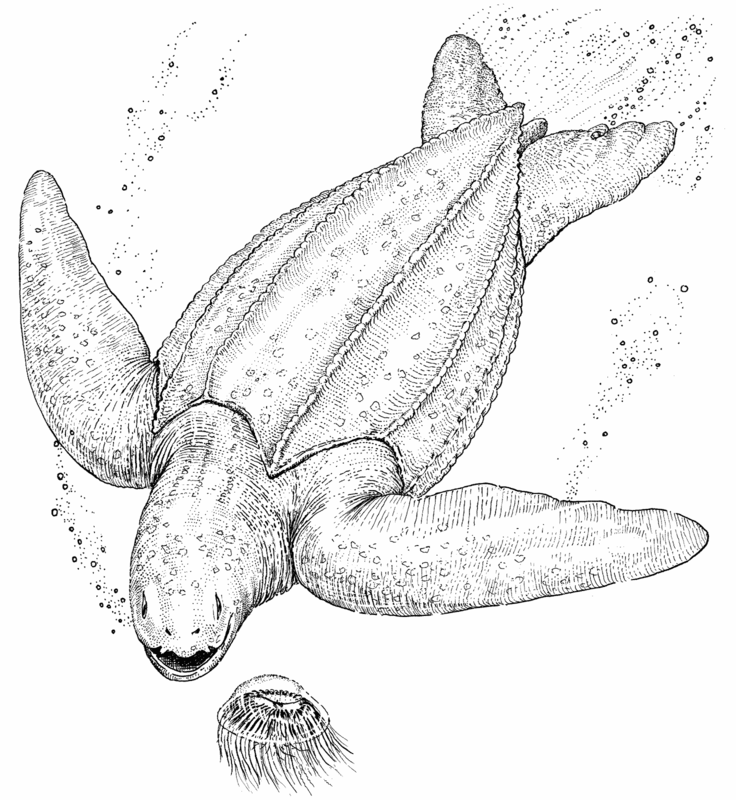 The leatherback sea turtle (Dermochelys coriacea), sometimes called the lute turtle or leathery turtle or simply the luth, is the largest of all living turtles and is the fourth-heaviest modern reptile behind three crocodilians. 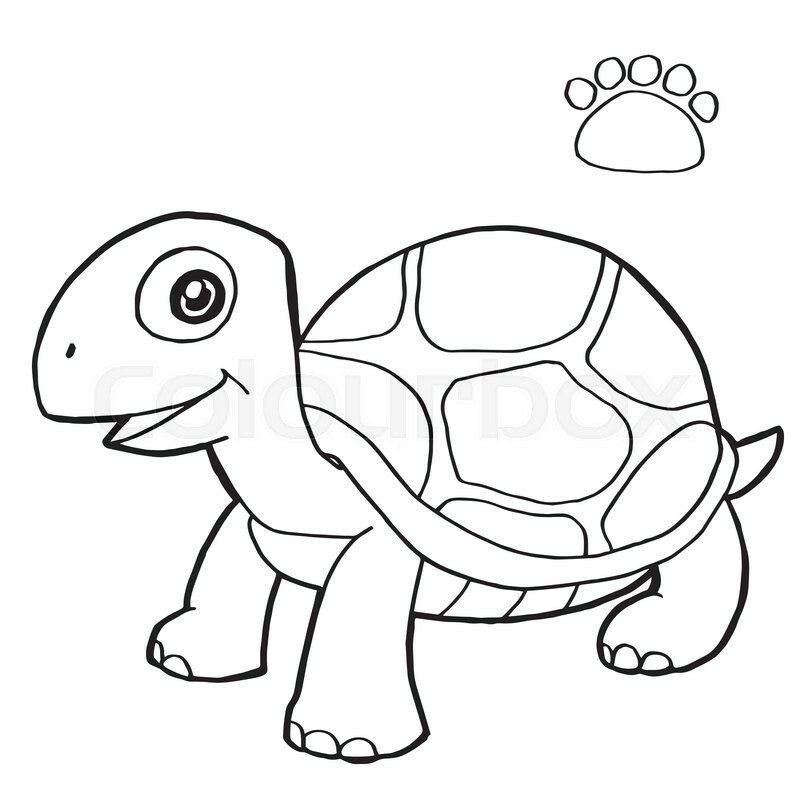 It is the only living species in the genus Dermochelys and family Dermochelyidae. 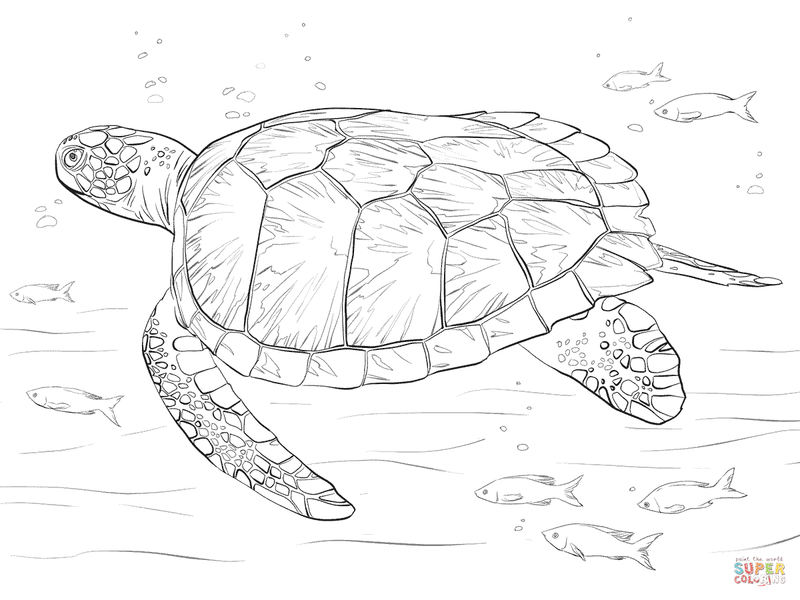 It can easily be differentiated from other modern sea turtles by its lack of a bony shell, hence the name. 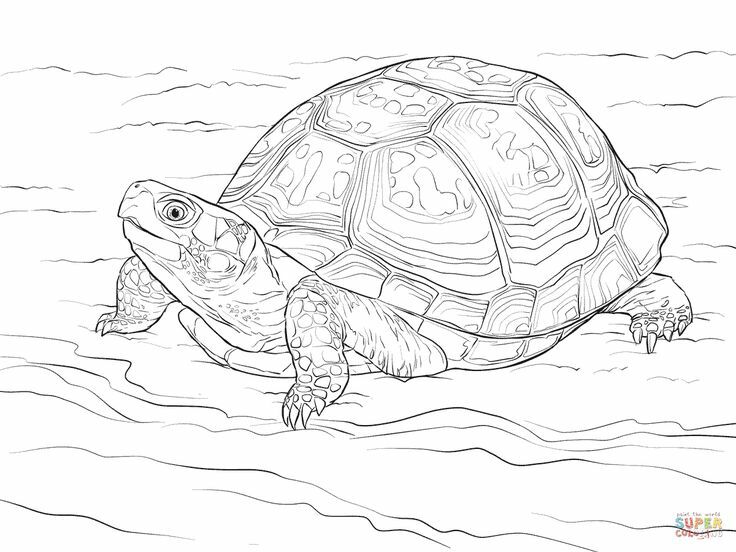 Instead, its carapace is covered by skin and oily flesh. 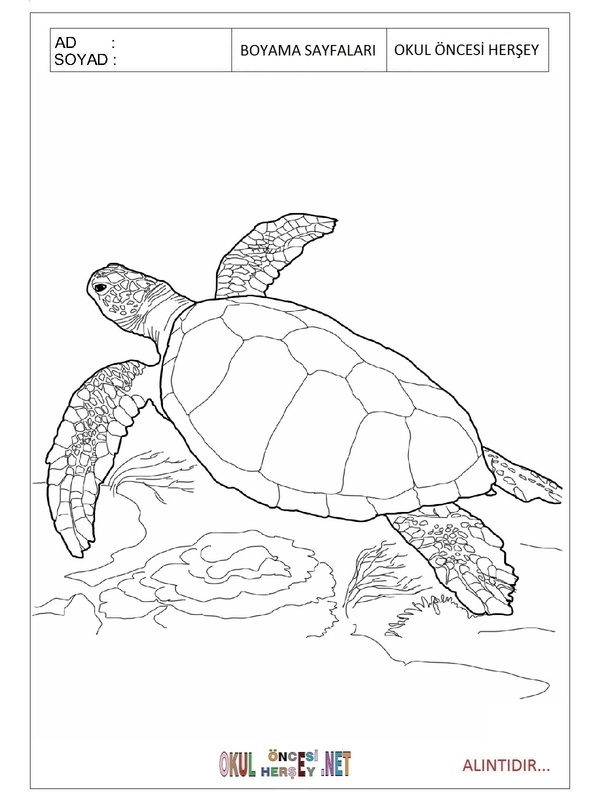 Dermochelys is the only extant genus of the family Dermochelyidae. 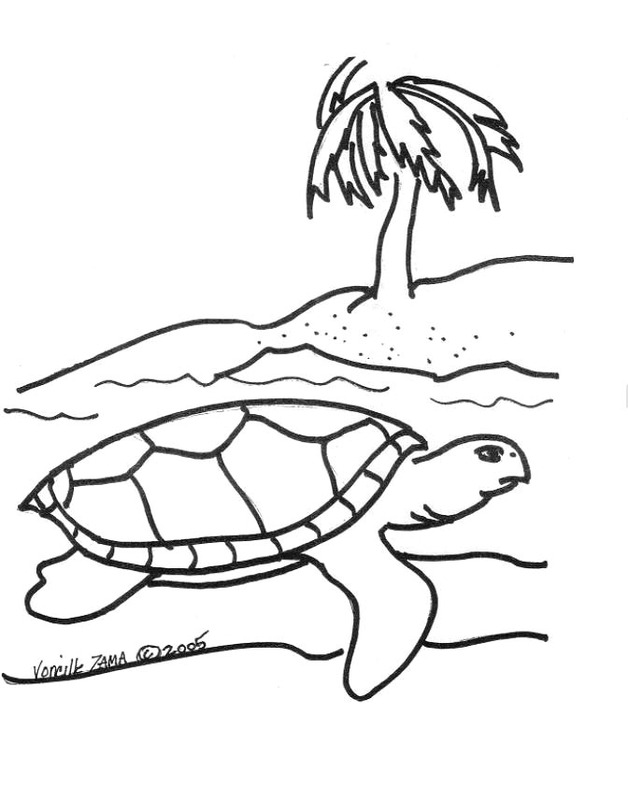 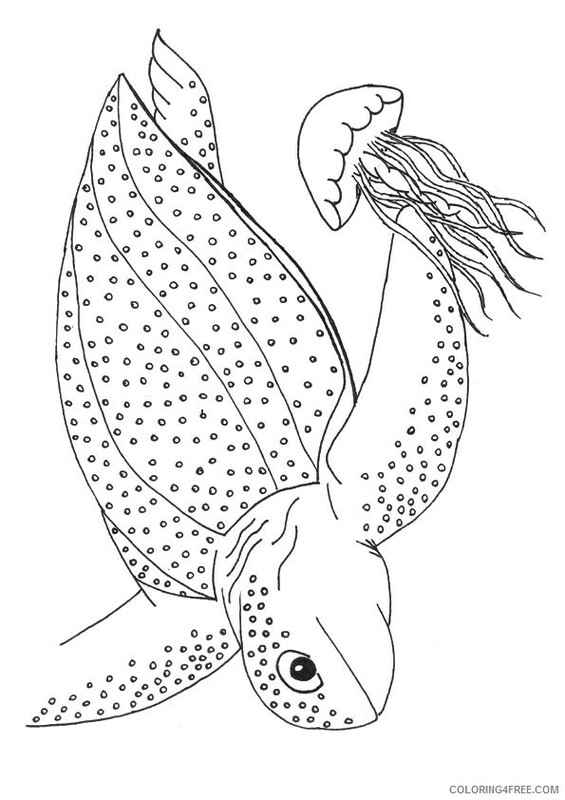 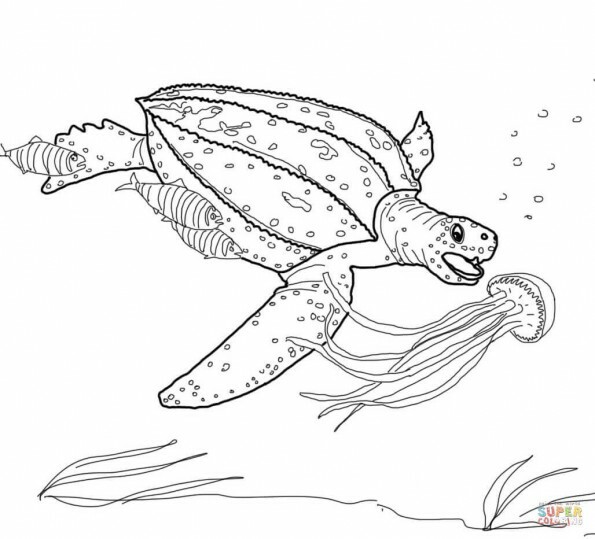 This site contains all about Leatherback turtle coloring page.